The Worx Aerocart Review - Should You Buy It? 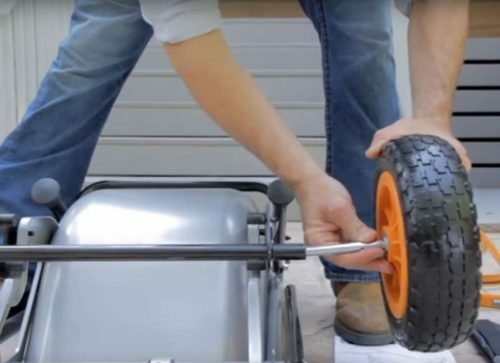 Have you seen the Worx Aerocart infomercial on TV recently? It is likely that, as with any infomercial, you are wondering if the Aerocart is actually any good or if it is just a Scam. 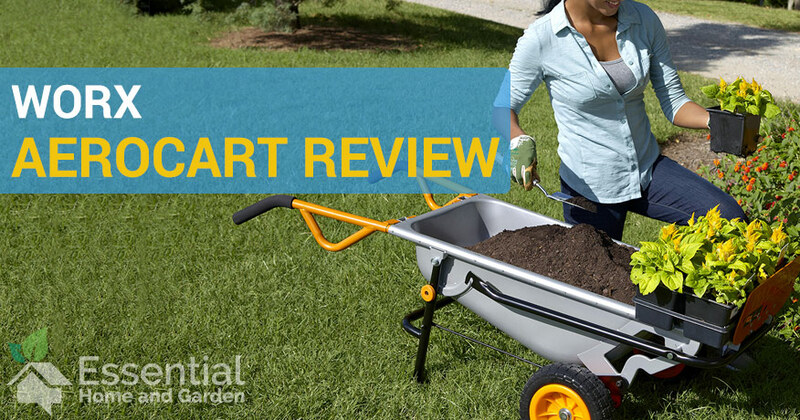 In this article we take an in-depth look this 8-in1 wheelbarrow so you can make an informed decision whether this household innovation is right for you. If you want a quick summary of our review, then this is where you can get it. If you want to read all the in-depth details about why we did or didn’t like it, then continue reading down the page. 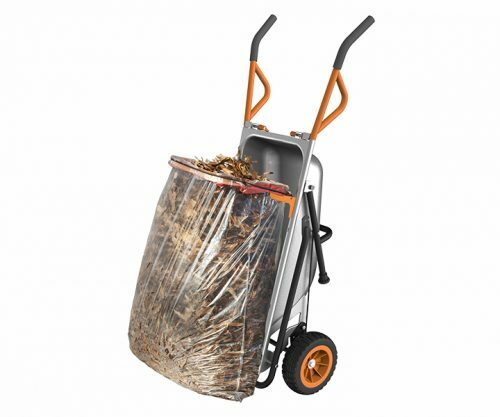 What Is The Worx WG050 Aerocart? 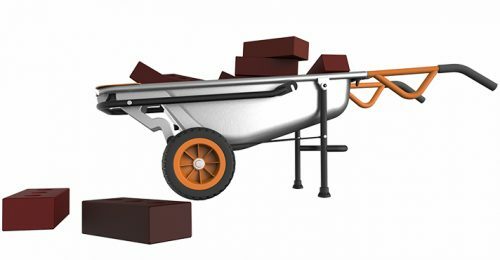 The Worx WG050 Aerocart, also known as the Worx Wheelbarrow, is marketing as being “much more than a wheelbarrow”. It is designed to take care of almost any heavy lifting job that you may have around the house. It has the ability to carry out multiple functions by “transforming” into a different device. In reality, the transformations are fairly minor – but they do give this tool surprising versatility. 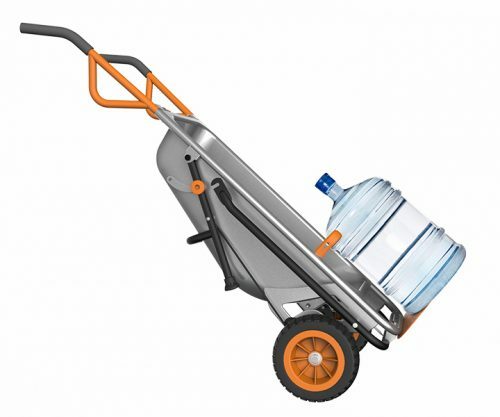 Can acts as a standard wheelbarrow to carry a maximum weight of 300 lbs. 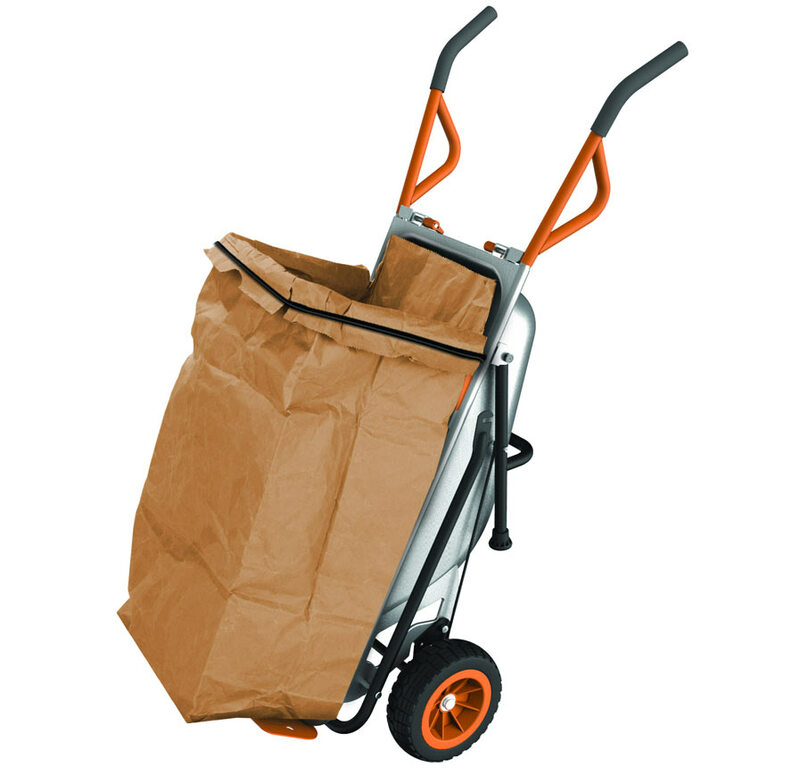 Can be used to easily hold lawn and leaf bags for easy use. 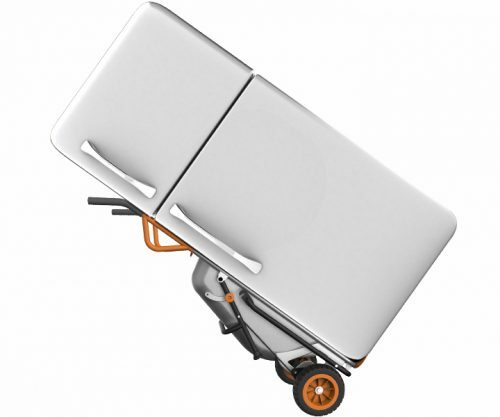 Has in-built extension arms that fold out for carrying items with more depth. Maximum extended dolly weight capacity is 80 lbs. Comes with a mesh bag that clips onto the extended dolly arms. You can then use this mesh bad to pick up rocks or potted plants. Maximum weight capacity of 80 lbs. Clip on these holder clips to make it easier to shift larger round items such as water jugs, trash cans, and barrels. So is the Worx Aerocart really worth your hard earned money? Let’s take a closer look at the ins and outs to find out. Like any product that arrives via the delivery man these days, the Worx Aerocart requires some assembly when it arrives at your door. I was pleasantly surprised to discover that the Aerocart is surprisingly easy to assemble. The main body is already put together for you at the factory, and all you need to do is attach the wheels. This is done by sliding a wheel shaft through each wheel and then inserting a lock pin. And that’s it! 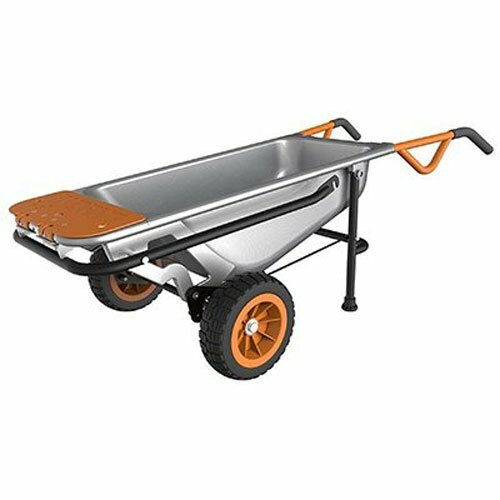 When I first noticed this Worx Wheelbarrow was made in China, I had my doubts as to the overall quality of the materials and the workmanship. Apon inspection, I was quite surprised as to how well this device is put together. The body of the wheelbarrow is very sturdy and I couldn’t find a single loose join or bolt anywhere. I did a quick bit of research online to see what others have experienced when the Aerocart is a bit older and the complaints about the quality of manufacturing are few and far between. 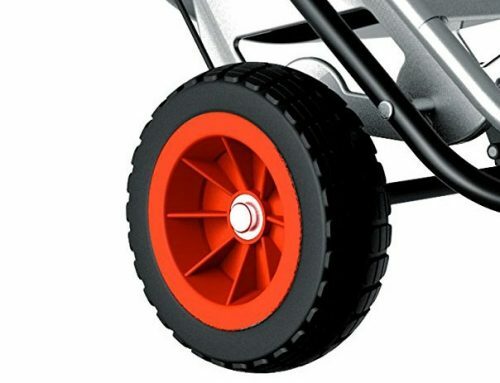 How Well Does The Worx Aerocart Work? Not Built For Tall People! 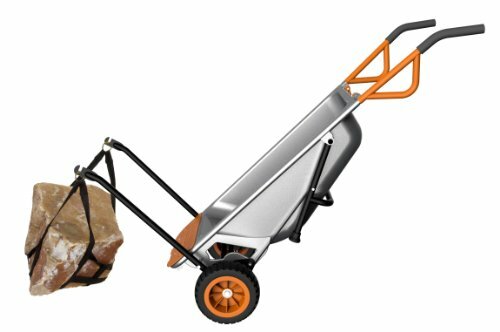 Because the Worx Aerocart is quite low to the ground AND has a shallow barrow, tall people will find it extremely annoying to use. As someone of above average height, I found that when standing I stood up to my full height with a full load, half of it slid right back onto the ground. This resulted in me trying to lift the wheelbarrow in a way that prevented this happening (bent back and knees) which left me feeling worse for wear that night. However! If you are not tall, then the Aerocart will likely be just the right height for you. Especially if you find standard wheelbarrows too big and heavy. 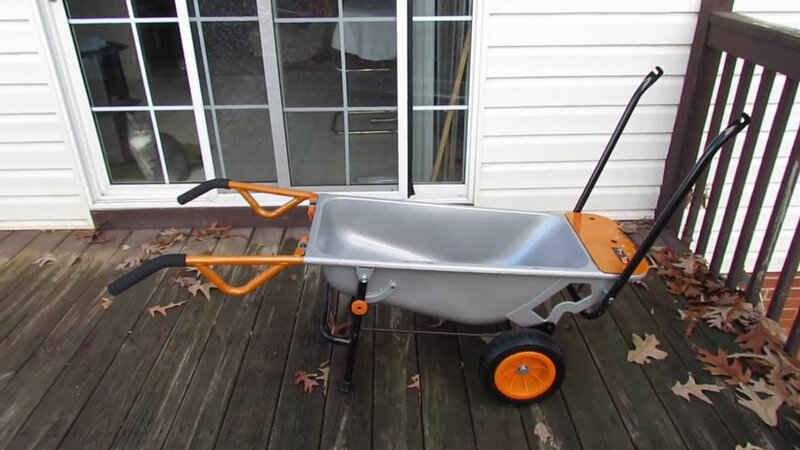 The other main point here is that the tub of the Worx Wheelbarrow does not hold a lot (approx 3 cubic foot) compared to a standard wheelbarrow (6 cubic foot). So if you are someone who needs to move a lot of mulch or dirt, then it is unlikely you will find the Aerocart to be a good choice. But a being a smaller wheelbarrow is not a bad thing. In fact, it would be downright useful in a suburban setting where you don’t need (or have the room for) a full-size wheelbarrow. One of the features I love is the fact that it has two wheels. These help immensely to stabilize the Aerocart and keep it upright even with an uneven load. My one complaint with the wheels (and it really is a minor one), is that they are solid wheels and not air filled. 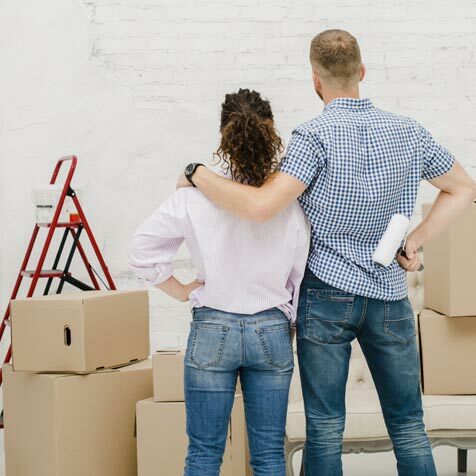 While this does mean that they will never go flat, it also means that it can be difficult to push over uneven surfaces and any bumps you hit will be felt right through your arms. The other functions that the Aerocart carries out make it seem like a sure-fire winner. But how well do they actually work? 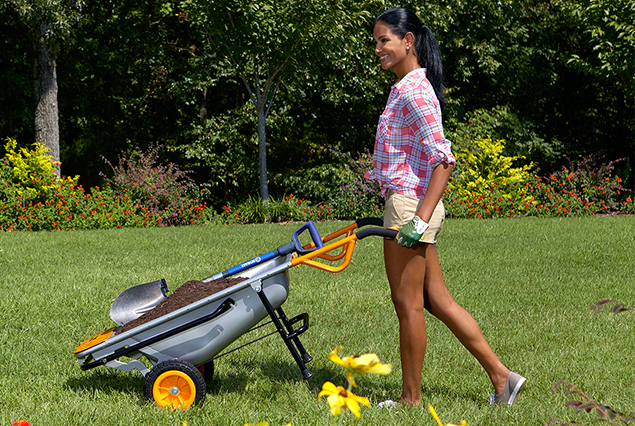 The transformation process from a wheelbarrow to a dolly is super easy. All I needed to do was pull one spring-loaded knob on each side of the support legs and then fold the legs forward to complete the process. Most of the transformations worked mostly to my satisfaction. The bag holder was exceptionally useful – nothing is more annoying than having to try and hold an empty garden bag open while also trying to push an armful of garden waste into it! The dolly works as a dolly should – carries heavy things! The rock carrier is a bit of a gimmick, but I did find it somewhat useful for moving heavier potted plants around. I am yet to find a use for the cylinder carrier, but I’m sure someone has a genuine use for it…..right? 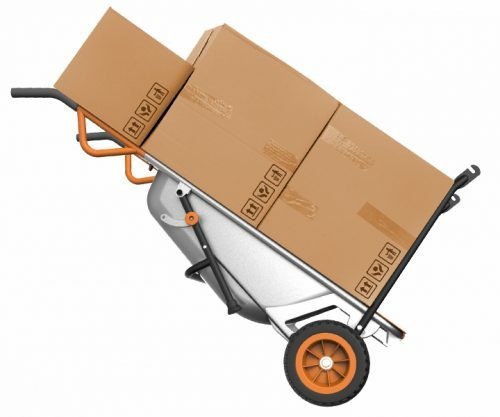 If you don’t like the Aerocart then Worx promise that you can send it back to them within 60 days for a refund – less shipping and handling. A 2 year limited warranty is included which can be extended to 3 years with product registration. There are a bunch of exclusions on the warranty though which I didn’t like, one of them being ” Natural wear and tear caused by use in accordance with operating instructions.” So what this essentially means is that if say your wheel bearings wear out within 3 years – they can say that it is “normal wear and tear” and is not covered. So while a 3 year warranty sounds great, my feeling is that it probably is not worth that much at all. Ok first: who should buy the Aerocart? I would recommend it to anyone who is of average (or below height), or those of you who struggle with mobility or strength problems. It is also ideal for those of you living in a suburban location with smaller gardens and limited storage space. Who should avoid the Aerocart? 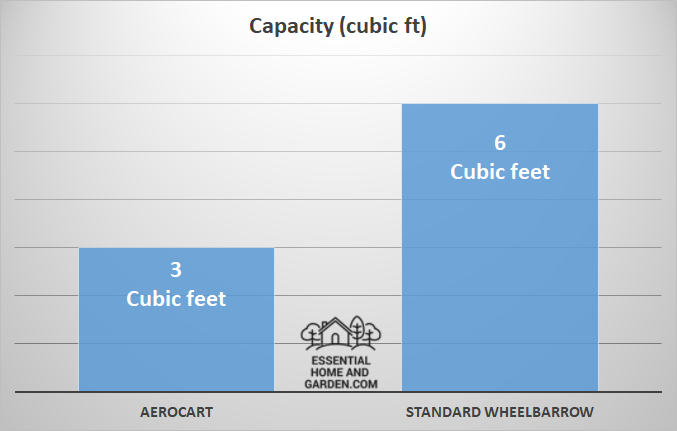 If you are above 5’8″ then I would say that the Aerocart will probably be more of an annoyance to you as a wheelbarrow for the reasons stated earlier in this article. 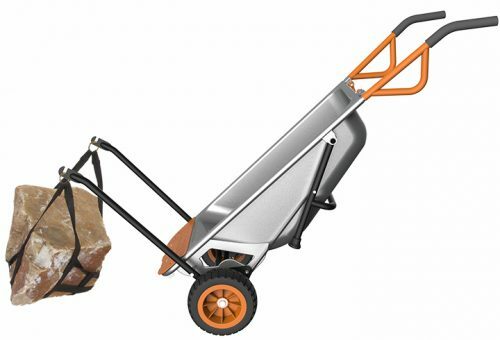 Also, anyone who has to shift large loads by wheelbarrow should stick to a more traditional wheelbarrow, otherwise you will be doing twice as many trips!